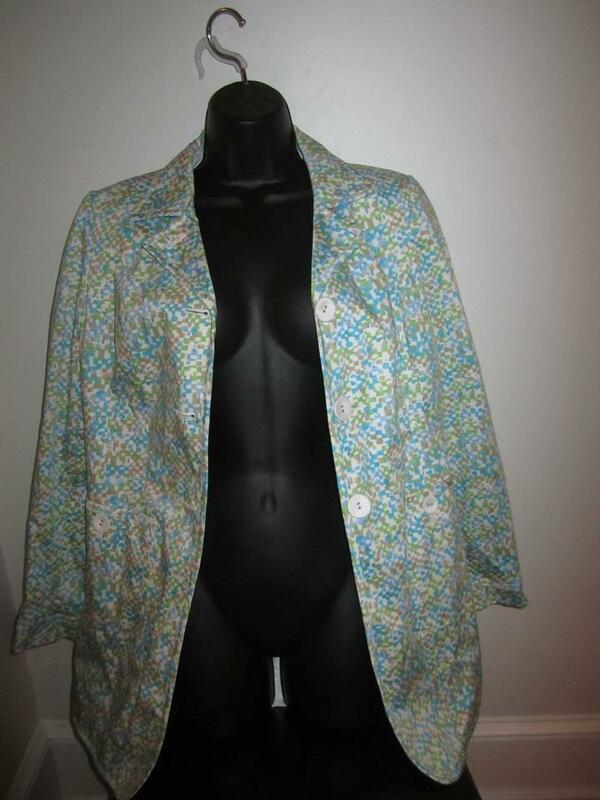 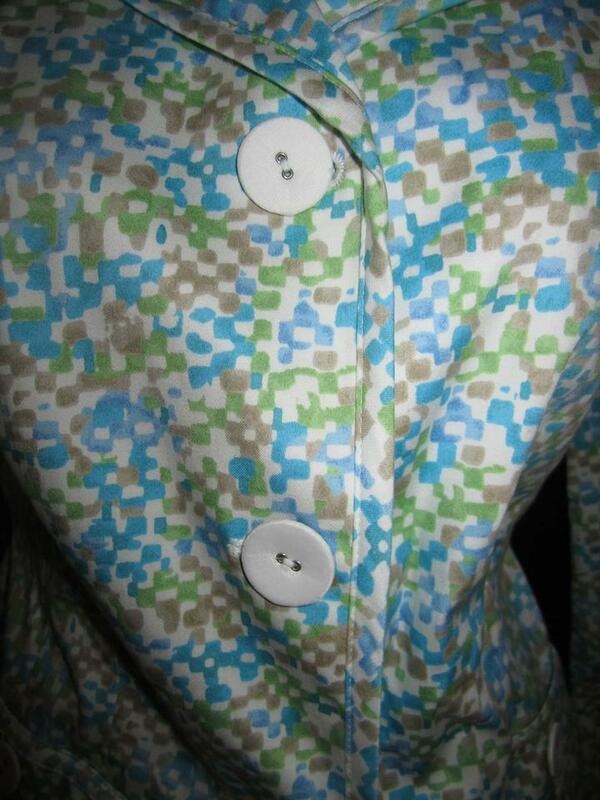 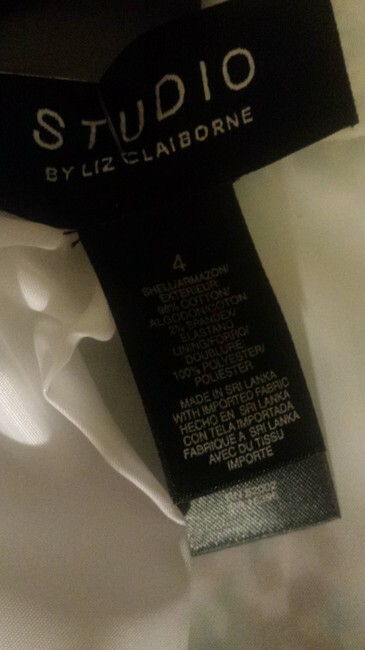 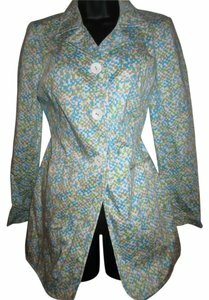 Liz Claiborne multicolor long blazer jacket has 3 button closure in front and 2 deep pockets with same buttons to close. 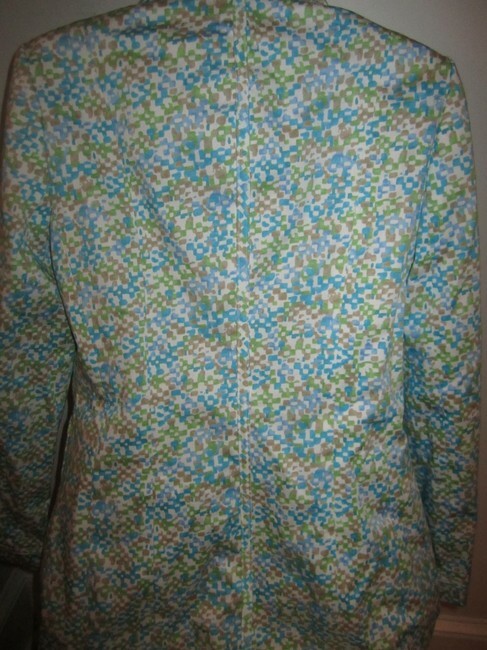 Shell: 98% Cotton 2% Spandex. Lining: 100% Polyester.